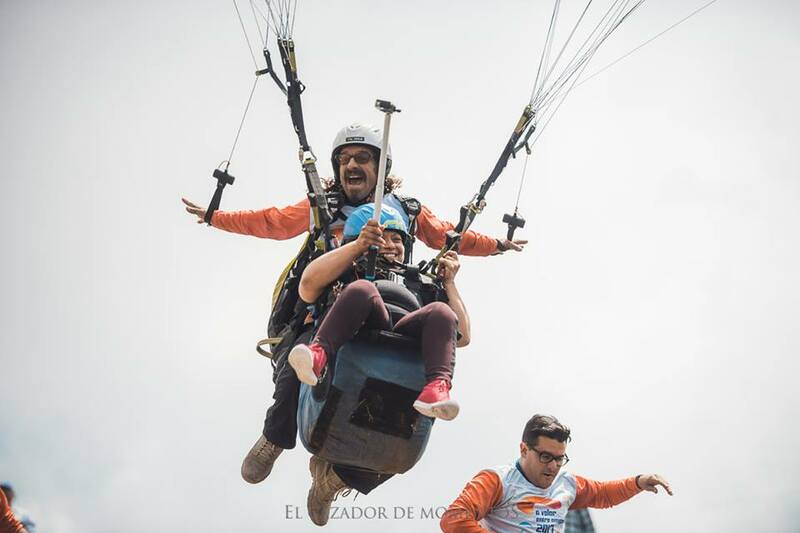 Join us for a tandem flight in Puebla City Mexico. This location is a 2 hour bus ride from Mexico City. All our pilots are licensed and insured. You can book for any day or time (during daylight hours) you like. Directions, other activities, and all other details are listed below. Flight: All our flights are VIP flights meaning we fly you as long as we possibly can. Deposit: A $20 ( 350 MXN) deposit is required for the reservation. The remaining 80 U.S dollars (1,500 MXN) can be paid at the paragliding site. *We speak English as well as Spanish. ​*Please be aware of possible delays or cancellations due to poor weather conditions. Our cancellation policy can be seen below. Price: 100 USD. All our flights are VIP flights, which means we try to fly you as long as possible. Deposit: The deposit is $20 or 350 MXN. Please pay the remaining 1,500 MXN at the paragliding site. 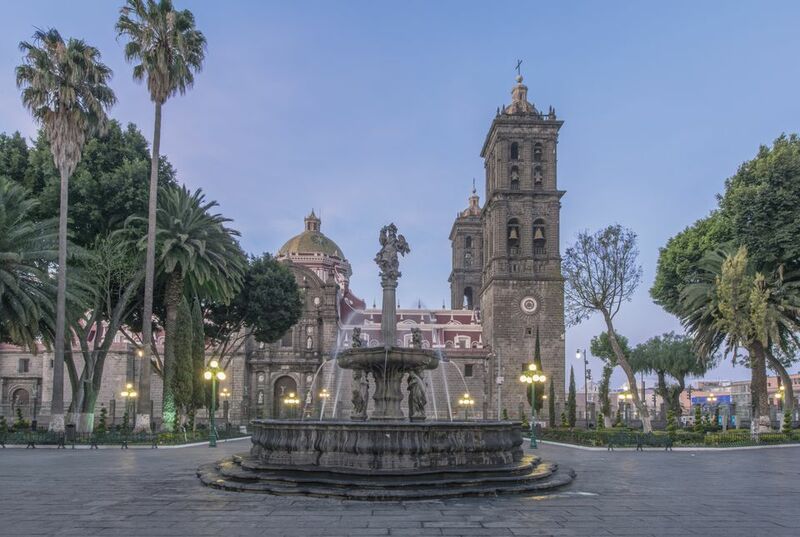 ​​Puebla City is a Spanish colonial city with many tourist attractions. It is the 4th largest city in Mexico and has some of the best preserved colonial architecture in Mexico. It was once an UNESCO world heritage site. A simple google search will show you many sites and attractions. You can reserve a tandem flight with us for any day or time (as long as the sun is up). Bus rides from Mexico City are around two hours. Once arriving in Puebla City, you will need to take a short taxi ride (or Uber ride) to the address shown on the map below. We will pick you up here. Allow about 2 and a half hours to assess the weather, go up the mountain, takeoff, land, and arrive back at the bus station. There are plenty of other activities for guests to do after paragliding if they want to stay longer. The city of Puebla is a famous Spanish colonial city with many tourist attractions. 5 de Mayo No. 1 Local B Col.
​There is no special clothing that needs to be worn for paragliding, but we recommend long pants and proper shoes. Please no sandals or high heels. ​WHAT IS THE HEIGHT AND WEIGHT LIMIT? ​There is no height limit, but the your weight needs to be between 20-110 kilograms. ​HOW LONG IS THE FLIGHT? ​Typically flight times are 10-15 minutes. We always try to give people the longest flight we can. If the weather is good, it's not uncommon to have flights of over 30 minutes. From driving up the mountain to flying to the landing zone usually takes about an hour. ​WHAT IF THE FLIGHT NEEDS TO BE CANCELLED? ​If the flight needs to be cancelled due to strong wind or rain, then you will be informed two days prior to your scheduled flight via email. Please be sure to check for this. We are always keeping a close watch on the forecast, however, cancellations do happen. We can reschedule your flight, or you can choose to receive a full refund of your deposit within 2-3 business days. ​​WHAT IS THE BEST SEASON TO FLY? ​We fly all year. Spring, Summer, Fall, and Winter are all great times to fly. ​WHAT IS THE AGE LIMIT? ​There is no age limit. Anyone with an interest in paragliding with us can fly. If you are under the age of 18, we will need consent from a parent or guardian. ​Statistically paragliding is no more dangerous than driving a car. All of our pilots have many years of flying experience, and all of their equipment is regularly inspected. ​DO I NEED TO PURCHASE SPECIAL INSURANCE? ​All of our pilots are insured already. This means if any sort of injury did occur, your pilots paragliding insurance would cover the cost of any injury to you. ​SHOULD I BRING MY CAMERA? ​Sure why not? More photos to enjoy the experience would be great. Your pilot will have a GoPro camera for you to hold during your flight. After the flight, the pilot will send you the video and photos of the experience. If your flight is cancelled due to weather, then you will receive a full refund within 2-3 business days. If you want to cancel after already making a reservation with us, then you must do so within 72 hours of your scheduled flight to receive a full refund. This allows us to schedule other guests in your place. If you cancel with less than 72 hours, or simply do not show up, you will receive no refund. HOW IMPORTANT IS THE WEATHER? 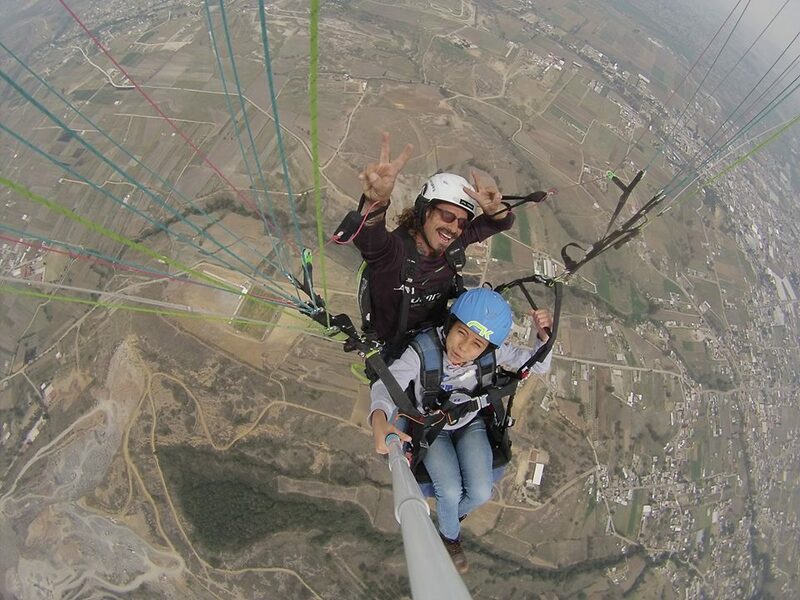 ​The weather is very important to paragliding. Safety is our first priority, so we will be checking the weather regularly. We will notify customers at least 2 days prior to the scheduled flight if cancellations need to be made. Go to the subway station called "San Lázaro". Exit the subway station and enter the "Passenger Bus Terminal East" (TAPO). Here you can buy your bus ticket to Puebla City. The bus leaves every 15 minutes. Once in Puebla City take a taxi or Uber to the meeting point shown in the picture below. The Bus ride is around 2 hours. The bus ticket costs about 8 dollars. First class tickets are a bit more. When you arrive in Danyang one of our pilots will be waiting for you. Send us an email if you have any questions regarding directions. You can purchase your return ticket after flying. *If you are interested in spending the night in Puebla, there is an Airbnb near the paragliding site. Use the link to view. Let us know if you have any questions and we can help you the best we can. You can call us toll free at 1-800-747-4201, or you may message one of our representatives (Joshua) on WhatsApp at +82 10 9853 8153 or on kakaotalk at jgolds11. You may also email us at contact@ascendiaparagliding.com.